It's something that happens often with our grads — that connection, that shared interest, that same excellent taste in engineering schools. Whatever the spark, there are quite a few Lyles School of Civil Engineering couples that either graduated as a couple or met later in their professional lives. One such couple is Cheryl Cunningham (BSCE '80) and Chester "Chet" Parsons (BSCE '74). 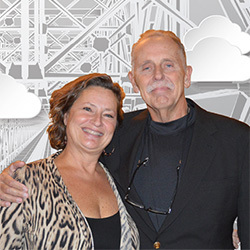 They met each other at work (now known as Parsons, Cunningham & Shartle Engineering) in 1992, when Cheryl moved from California to work at Chet's Indianapolis-based firm. Jim and Carol Cure look at the world through a wide-angle lens. They pay close attention to where their help is most needed, now and into the future. 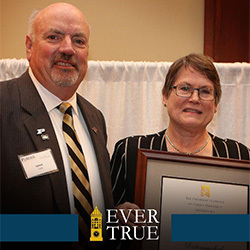 They have given selflessly of their time and resources to Purdue and faith-based causes. 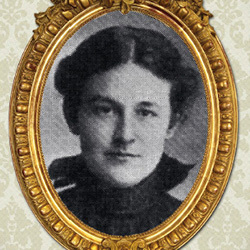 This spring marks the 120th anniversary of the graduation of Martha Dicks Stevens — Purdue's first female engineer, and a civil engineer, at that. Graduating in 1897, Stevens was the definition of a trailblazer — and she continues to serve as an inspiration for faculty, students, staff and alumnae. A matching opportunity from the Purdue Research Foundation enables Civil Engineering to expand diversity. 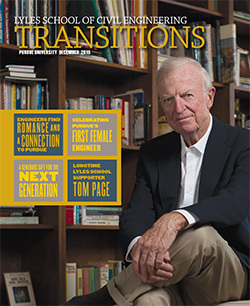 In May 2015, thanks to an amazingly generous anonymous donor, Purdue University was able to offer $5 million in matching funds for donors wishing to establish scholarships for underrepresented minority and women undergraduates. In a little over a year, the Lyles School of Civil Engineering has raised $600,000 in scholarship pledges to boost diversity, one of the primary goals set forth in the College of Engineering's Strategic Growth Initiative. This fall, the school unveiled its newest addition — the Thomas A. Page Pavilion. 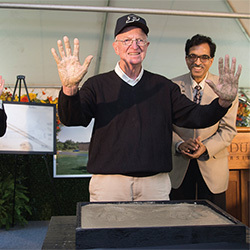 The new facility, named after its primary donor, Tom Page (BSCE '55, MSIA '63, HDR '94), serves as a place for student teams to plan, design, fabricate and finish projects. Part of the building also will be used for material staging for the adjacent Robert L. and Terry L. Bowen Laboratory for Large-Scale Civil Engineering Research.